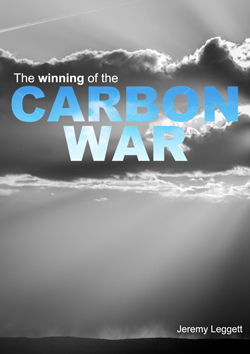 It’s a little early to be reviewing Jeremy Leggett’s book The Winning of the Carbon Wars, because he hasn’t finished writing it yet. The book is a work in progress, and an interesting experiment – every month Leggett adds another chapter, drawn from his diaries and detailing his on-the-ground view of the front lines of the carbon war. There are a couple more chapters to go before the book wraps up at the Paris climate talks and gets prepared for print publication. Until then, it’s an ebook that you can download for nothing from Jeremy’s website. If you’ve not read a book by Jeremy Leggett before, perhaps now is the time. He has a unique perspective that makes him one of the most astute commentators on the energy world, the result of a career that has taken him from oil geologist to Greenpeace activist to solar entrepreneur. To those circles we can now add finance, as Leggett is chair of Carbon Tracker. Having operated in all these worlds, he is able to move between them, always respected if not always welcome. Luckily for us, he writes about what he sees and the conversations he has, and we get a view behind the closed doors as politicians, banks and energy companies discuss what to do about climate change. Over the course of the book we visit the World Economic Forum, the Bank of England, Total’s headquarters in Paris, a solar conference in Saudi Arabia, the Occupy camp in London – and yes, he does address his inevitable flying habits. One of the things that’s hard to miss is Leggett’s use of the war analogy to describe current events in energy. He admits that he gets criticized for that language. But it can feel like a war sometimes: “There may be no bullets, but people have started to die who wouldn’t have died so early otherwise, especially in the developing world.” And there’s no doubt that there is fighting. Among friends, the “energy incumbency” isn’t afraid to talk about an “endless war” with environmentalists. The lobbyists of the fossil fuel companies are actively working against renewables and community energy. In many parts of the world, they are losing this “global civil war”. In others, Britain included, they’re winning. First, the cost of renewable energy is dropping all the time. It has reached grid parity in many countries already, and the idea that it is unaffordable is quite definitively out of date. Secondly, the cost of extracting fossil fuels is rising inexorably. The most accessible oil and gas has been reached, and in order to keep up with demand, the industry is having to reach further – tar sands, Arctic oil, fracking. 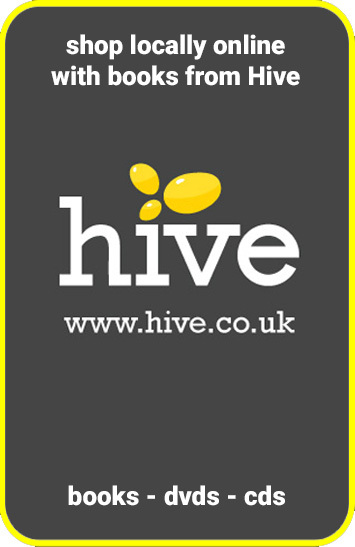 These are more expensive – sometimes eye-wateringly so, and that makes them hard to finance. As we’ve discussed before, with the oil price low, those projects are losing money. But if the oil price shoots back up, as it will do eventually, that only improves the economics of renewable energy. So either way, high oil price or low, the fossil fuel companies’ business model is under stress. To put it another way, fossil fuels can’t win. If the oil price is low, expensive oil projects stop making money and investors pull the plug. If the oil price is high, renewable energy looks more attractive and investors put their money there instead. They won’t go quietly and we don’t want to celebrate prematurely, but there’s a reason why the book is called The Winning of the Carbon War. Some fossil fuel companies know this. E.ON has announced that it plans to hive off its fossil fuels involvement and focus on renewable energy. Others deny there’s any problem, but the monthly serialisation of the book means that you can witness events unfolding and see the central argument proved repeatedly. Leggett writes about Shell’s insistence that its Arctic projects are good value, only for them to be overturned last month, just in time for October’s update. Shale bankruptcies are predicted and delivered. Meetings with the Bank of England are described, trying to persuade them to take Carbon Tracker’s analysis seriously, and then we get speeches like Mark Carney’s last week that proves they’ve taken it on board. He’s classier than this, but Leggett could just write a big ‘I told you so’ as the book’s conclusion. All of which highlights how profoundly misguided current energy policy in Britain is at the moment. “The British are staking out increasingly lonely ground in the footdragging stakes” writes Leggett, and it’s clear our current policies put us firmly on the wrong side of the energy equation – economically as well as environmentally. The future does not lie with fossil fuels, fracked or otherwise. And the sooner we recognise the inevitability of this, the easier the transition will be. Pingback: Will clean tech make fossil fuels more expensive?